Recognising the overriding need to respect and enhance the unique characteristics of the vineyards, we look on these terroir, as well-aspected hillsides are called around here, as magical places where we can rediscover our own roots. 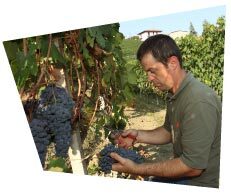 In fact it was in the early 1980s that we decided to go back to our origins as grape growers, well aware that our work did not stop at the end of the row of vines. We had no illusions that we were inventing anything: we merely wanted to comply with the best in the traditions and work of our predecessors, without any preconceived ideas. The first logical consequence was the decision, from 1978, to vinify and bottle separately grapes from our various vineyards. Our goal was to enable the estate to find its own space in a market where excellent producers were already operating. 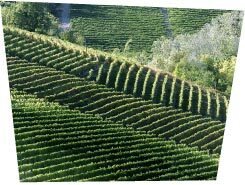 Our one-step-at-a-time policy began with the successive replantings of our Nebbiolo, Barbera and Dolcetto. In 1986, we added a small plot of a non-native variety, Chardonnay, “educating” the fruit to express the terroir into which it had been introduced. At present, our average annual output does not exceed 90,000 bottles, a level that enables us to maintain the family-managed orientation of our work, as well as meticulous control over all stages of winemaking, from vineyard to cellar.